There are several gardens and sculpture parks that can be visited from the Tuscany Umbria border. You could develop a week long garden themed itinerary for your holiday by visiting the places below – possibly combining the gardens with nearby towns and sights to make a full day out. 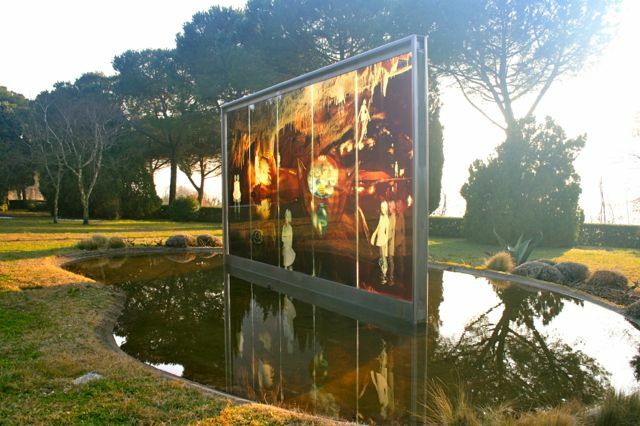 The Giardini dei Tarocchi and Giardino di Daniel Spoerri are a reasonable drive but could conceivably be combined in a day devoted to sculpture parks. 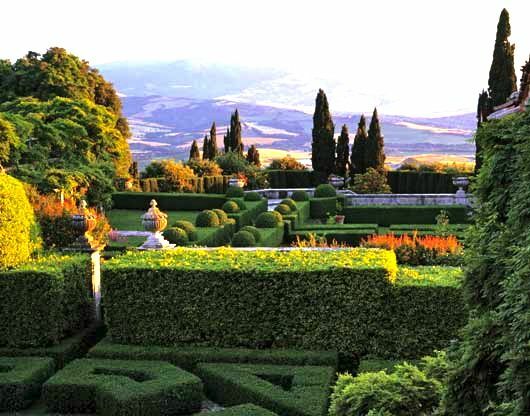 La Foce is a formal garden located between the Tuscan towns of Chianciamo Terme and Montepulciano. The gardens are set in the landscape of limestone hills known as the Crete. Imagine the classic Tuscan view of gently rolling hills, winding roads lined with cypress trees and isolated farmhouses – in your mind you are picturing the Crete. The American author Iris Origo owned La Foce with her Italian husband. Her World War II memoir, War In The Val D’Orcia is set here. The diary, kept between 1943 and 1944, is a great insight into wartime Italy and makes an interesting holiday read for anyone staying in the area. By the standards of the time the Origos seemed to be enlightened landowners, improving the fertility of the land and building a school, nursery, social club and cottage hospital for the many families that lived on the estate. The gardens that Iris Origo built are a mixture of Italian formal garden, clipped box hedges in geometric patterns, and less regimented flower beds in the style of an English cottage garden. The gardens were built under the supervision of British architect Cecil Pinset between 1927 and 1939. He also designed the view from the garden, a cypress lined white road that zig-zags up the hill, a classic Italian image designed by an Englishman. April – Oct every Wednesday afternoon at 3pm, 4pm, 5pm & 6pm. Nov – March every Wednesday afternoon at 3pm & 4pm. April to Nov, the first weekend of the month tours start at 10am, 11am, 12am, 3pm, 4pm, 5pm & 6pm. Set in the gardens of a villa near Città della Pieve, south of Lake Trasimeno, Il Giardino dei Lauro is a collection of quirky art installations and sculptures owned by the Neapolitan Lauro family. Smaller works are housed in a building in the garden which, if I remember rightly, used to be where wine was made. Open to the public on Fridays and Saturdays, the garden is free to visit. 10am – 1pm and 3.30pm to 6.30pm. It is best to ring ahead to let them know you are coming +39 340 9669052. The garden is free to visit and open between dawn and dusk, loud noises are not permitted, so that rules out a lot of under 14s! Located in woodland to the north east of Siena, the Chianti Sculpture Park has allowed sculptors from around the world to choose the location of their work as part of the commissioning process. The park is great fun, a woodland trail takes you from sculpture to sculpture and many of the pieces are interactive, making it a great place to take children. The Chianti Sculpture Park is open daily from 10am until sunset, however, from November to March it is advisable to call first. The entrance fee is €7.50 Adults, €5.00 Children, a guide can be pre-booked free of charge for 12+ people, otherwise €25. 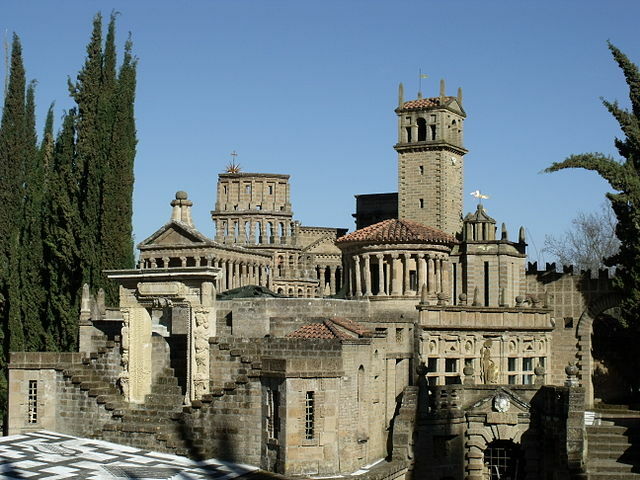 South of Citta della Pieve near the small town of Montegabbione, La Scarzuola is the work of Tomaso Buzzi, an Italian architect, who bought the former Franciscan hermitage in 1957. 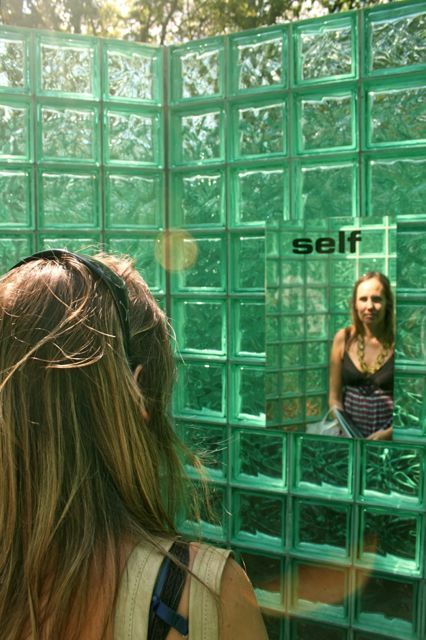 The gardens have a collection of crazy architectural sculptures whose meaning is open to interpretation, but general direction seems to point one towards a journey of enlightenment and self-discovery (I’m beginning to feel there is a certain theme to sculpture gardens). Visits have to be pre-booked and are accompanied by a guide. To book a tour call +39 0763 837463 (no email) , you may have to try several times before you get through. Located near the town of Seggiano on the lower slopes of Monte Amiata, an extinct volcano that dominates the landscape of southern Tuscany, this 16 hectare garden has nearly a hundred sculptures by different artists. If you are staying in our properties on the Tuscany Umbria border it is likely to take around two hours to get here, so bear this in mind when planning a trip. To make a long day out you could combine it with visits to Il Bosco della Ragnaia and the Chianti Sculpture Park as these are more or less en route. 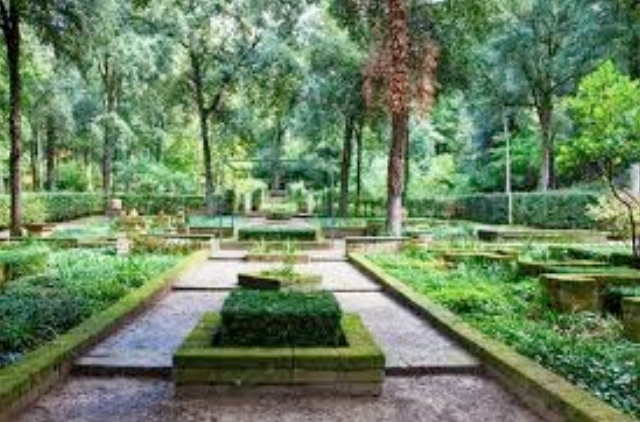 You could also go on to Il Giardino dei Tarocchi if you have enough time and stamina…. Tickets cost €10 adults, €8 children and students, under 8 years free. 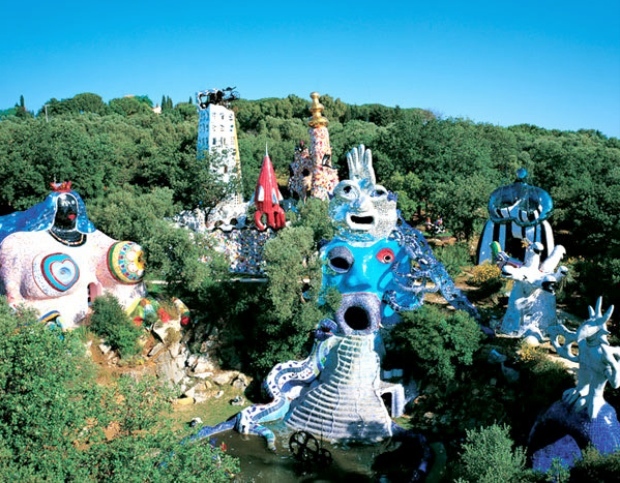 A sculpture garden themed on tarot cards, it was created by French / American artist Niki de Saint Phalle. Started in the 1970’s and officially opened in 1997, the brightly coloured surreal sculptures are strongly influenced by the architecture of Gaudi. 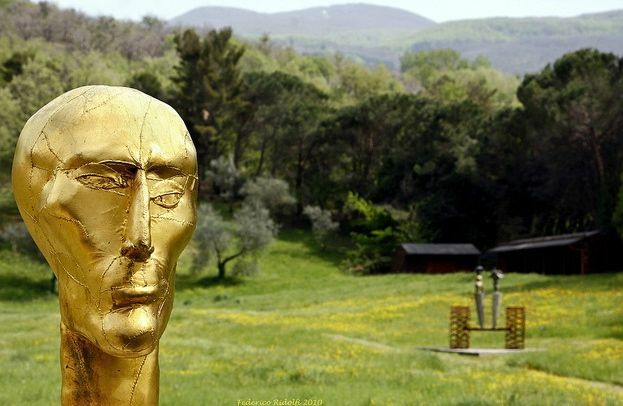 Located near the town of Calpalbio in the province of Grosseto, Tuscany, this sculpture park is a long drive from our villas on the Tuscany Umbria border. If you are prepared for a long car journey a love sculpture, it is definitely worth visiting. 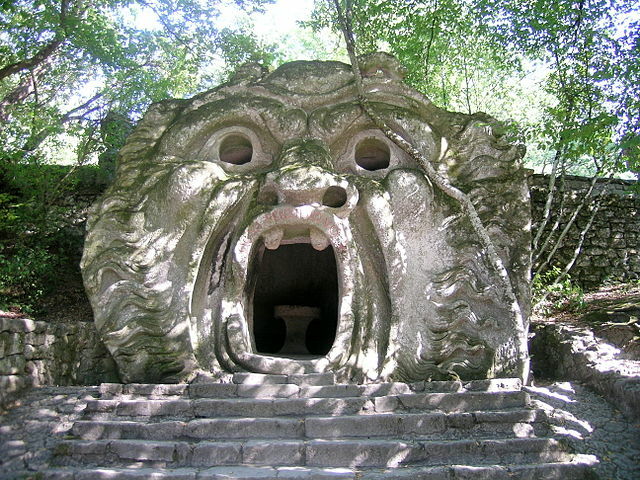 16th Century gardens filled with surreal and whimsical sculptures commissioned by a member of the Roman aristocracy. The gardens are located south of the Umbrian town of Orvieto, just in the region of Lazio (take the Attigliano exit from the A1). I love visiting these gardens and have returned several times after first seeing them on the BBC series “The Renaissance” presented by Andrew Graham Dixon. for many years the gardens were overgrown, in the 1970’s they were restored and opened to the public as a tourist attraction. Between November 1st and March 31st it is open from 8.30 to dusk.